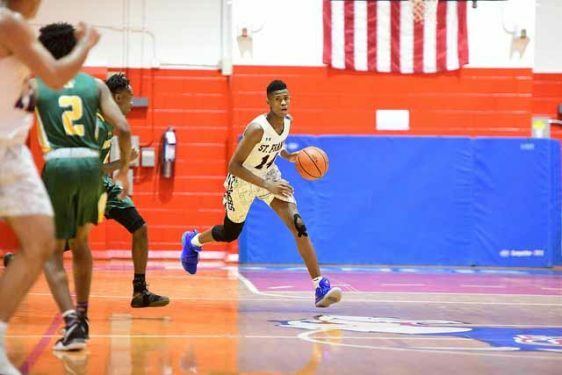 After another exciting season of CHSAA hoops action, here are the 2018-2019 Brooklyn/Queens boys’ high school basketball All-Stars. Special thanks to the league’s coaches for nominating their student-athletes. 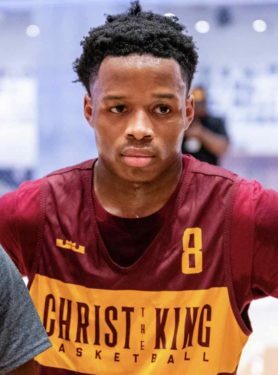 Nathaniel Curry: Christ the King; senior; forward; 10.5 pts., 11.0 rebounds per game; high game of 20 pts. 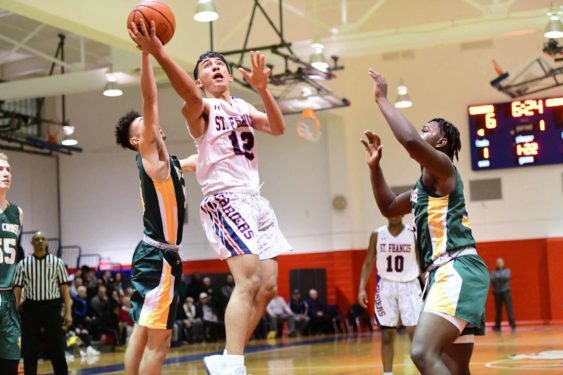 Aramis Santiago: St. Francis Prep; senior; forward; team captain; 12.4 pts., 9.1 rebounds per game, high game of 25 pts., four games scoring 20-plus pts. Jaqai Murray: Nazareth; sophomore; forward; 10.3 pts. per game, high game of 16 pts. 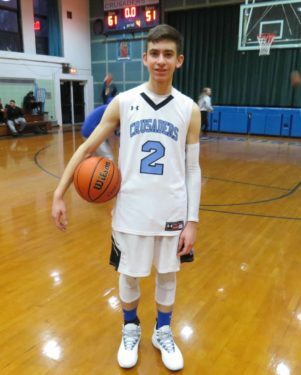 Camden Blount: Nazareth; junior; guard; 8.5 pts. per game, high game of 16 pts. Uriah Ladson: Msgr. McClancy; junior; forward; 8.3 pts., 4.6 rebounds per game, high game of 16 pts. 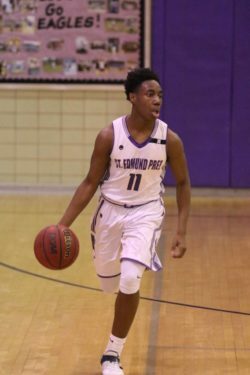 Menzo Tucker: Cathedral Prep; junior; guard; 15.0 pts., 5.0 rebounds per game, high game of 21 pts., two games scoring 20-plus pts. Matt Smith: Cathedral Prep; senior; forward; 7.0 pts., 8.0 rebounds per game, high game of 14 pts. 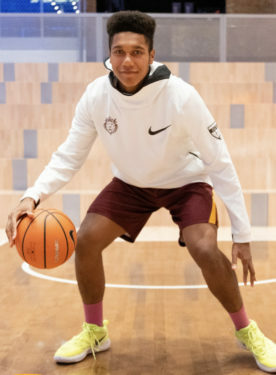 Javier Panataleon: Cristo Rey Brooklyn H.S., Flatbush; sophomore; guard; team captain; 15.0 pts., 8.0 assists, 6.0 rebounds, 4.0 steals per game, high game of 19 pts. 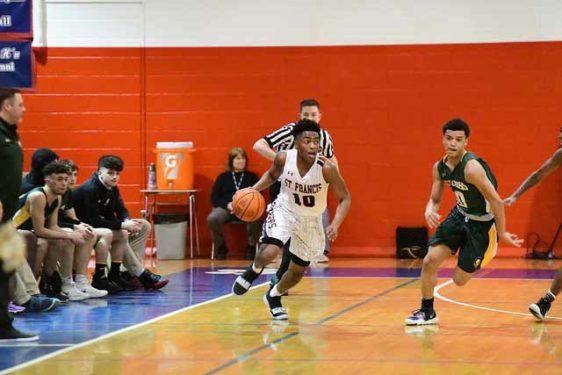 Jayden Rayford: St. John’s Prep; sophomore; guard; 15.0 pts., 7.0 assists per game, high game of 31 pts.